Is your garden looking a bit tired? 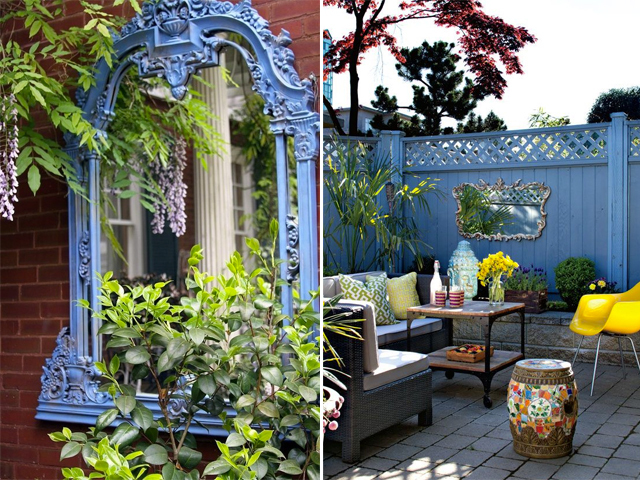 Here are some easy garden ideas that will spruce up your space. Create extra living space for rest and relaxation by investing in outdoor furniture. Up the comfort factor with plump cushions, side tables and an outdoor rug, and make the most of the sunny weather. Plant plenty of tubs around the seating area with scented blooms and herbs for you to enjoy. 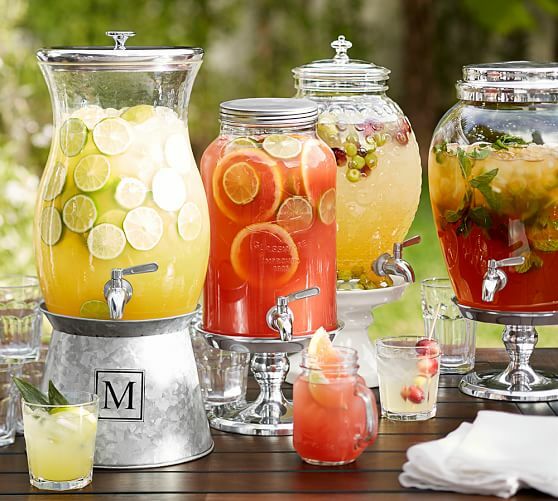 If you’re entertaining outside, serve iced drinks from a kilner drinks dispenser. It’s also great to have out when the kids are playing in the garden, filled with squash or water so they can help themselves. If you’re planning a big party for a special occasion, you might want to have something a little more elaborate. Give an old garden wall a facelift by planting succulents in its gaps. Add grit to the planting hole, push in the plants and leave to settle. sedums and sempervivums thrive with very little water. Or if you have a compact garden that doesn’t get the best natural light, try this simple and inexpensive update: hang a mirror among the foliage on a wall or fence. Not only will it bounce around the natural light, but the reflection of the garden itself instantly makes the entire space feel larger too. Fences might need a facelift too, so think about colour blocking to add some modern pizzazz to your garden. A hanging chair can be enjoyed indoors and outdoors. It makes a relaxed style statement whatever the weather, especially when you add on-trend faux furs and tufted cushions for extra comfort. A pretty potting shed or smart summerhouse can be the focal point of any garden, but a shabby one can really spoil the view. 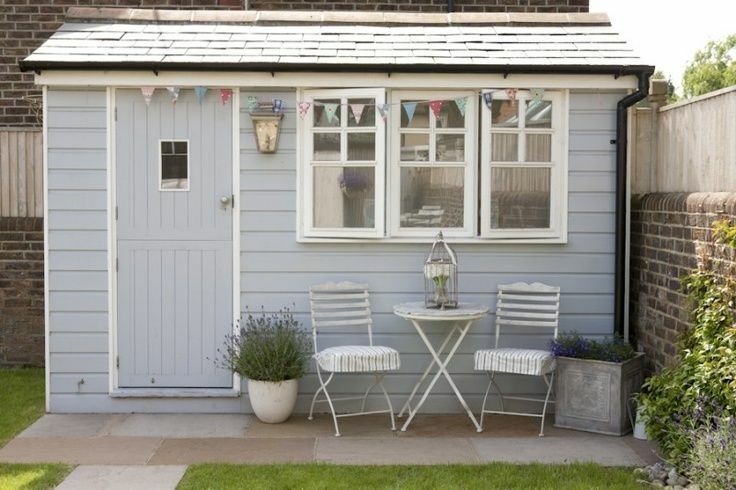 Cheer up an outhouse with a fresh lick of exterior paint. Outdoor fairy lights can be bought online all year around and they're a quick, simple and cheap way to bring a pretty glow to a patio and beyond. You can arrange them through tree or shrub branches, attach them to fences and furniture, or suspend them from canes stuck into the ground. They can be run from a plug inside the house, so you don't need an electrician. This is the perfect time to spruce up garden decking or paving by giving it a thorough clean. A pressure washer will do the job with very little effort – and the transformation is so satisfying, you’re definitely going to want to Insta the before and after! There’s nothing like eating al fresco, a bbq is a fantastic addition to any garden, and when you have your own BBQ area ready to go, you’ll be out there enjoying it whenever the weather permits. If you don’t yet have a patio area, you could lay slabs or set down a concrete base to create one.